Can you get personal on social media? Sure, as long as you behave in a professional manner. It goes without saying that the rules of professional conduct still apply. It seems obvious, like it’s common sense, right? It isn’t obvious to everyone. A well-known attorney with a sizable audience sends out this tweet. It seems to strike the right balance between personal and professional, dishing out appropriate levels of snark and humor. It’s a tweet that generates a few chuckles. 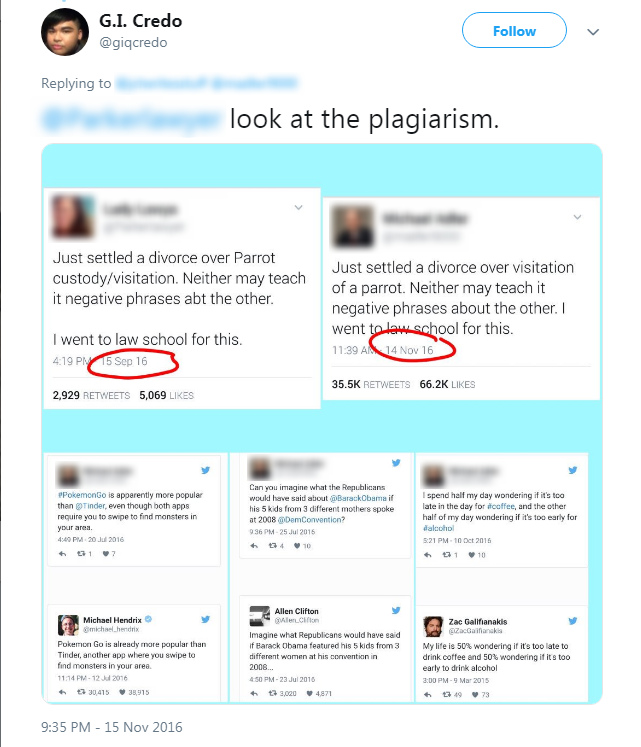 Many users on Twitter have accused this notable attorney of plagiarism. They’ve shared screenshots accusing the attorney in question of copying tweets from other (lesser known) attorneys and passing them off as his own. The point here isn’t whether this attorney is indeed guilty of plagiarism (I’m not discussing this). It’s about professionalism. As a legal professional, it’s a good idea to expect your audience (e.g. peers, competitors, clients, general public, etc.) to be unprofessional. It’s important to remain unfazed by your audience. When you’re using social media, you want to adhere to the rules of professional conduct. You’ll also want to make sure you avoid making a few easy-to-miss mistakes. Dan Pinnington is director of the legal malpractice claims prevention program for the Lawyers Professional Indemnity Company. 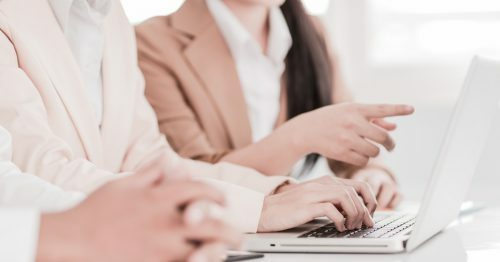 He’s outlined a list of legal pitfalls attorneys should avoid when posting or engaging with the public on social media. Don’t talk about clients or their matters. This violates model rules of professional conduct which states: “A lawyer shall not reveal information relating to the representation of a client unless the client gives informed consent, the disclosure is impliedly authorized in order to carry out the representation or the disclosure is permitted by paragraph.” This is fairly clear, right? Doing this may increase risk and liability on all sides. Don’t talk to clients about their matters. Don’t discuss your client’s matters on social media. These channels may have limited privacy settings (e.g. Facebook makes status updates public by default unless your privacy settings state otherwise) which affect your ability to communicate with your client securely/privately. This is also a violation of the rules of professional conduct. Choose your friends carefully. If you’re a litigator it’s unprofessional and possibly unethical to “befriend” judges, experts or other potential conflicts of interest. It’s also questionable to establish relationships with morally questionable people (e.g. troublemakers, people who court controversy, those with bad reputations, etc.). Choose your social media “friends” carefully as these relationships may have a lasting impact on your career. Respond and engage judiciously. You’ll want to respond to everyone in a friendly, kind and professional manner. When in doubt, follow the maxim be kind, be helpful or be gone. This is especially important when you encounter ragers, trolls, abusers, and manipulators. Maintain an appropriate professional distance with those you don’t know personally. Maintain a professional distance with those you know in a professional capacity. Work to keep your personal and professional lives separate. Avoid the unauthorized practice of law. Anything you post on social media can be accessed around the world. If your law firm is based in Kansas City you want to state the jurisdictions where you can/can’t practice law. Post this in your social media profiles, website, email and other marketing materials. Don’t give legal advice online. There’s a big difference between providing legal advice and offering legal information. These two are not the same thing. What’s worse, the line between these two is often blurred. Be careful when you’re providing responses to very specific questions. Maintain an appropriate boundary, always focusing on providing information rather than advice. Avvo Q&A is a good reference point if you’re unsure about how to strike the right balance. Here’s some additional advice regarding maintaining professionalism on social media. Just make sure you’re professional at all times. The professional rules of conduct still apply. It seems obvious but the examples I’ve shared above show it’s anything but. Engaging with the public provides both value and risk. Maintain an appropriate set of standards and you’ll find social media is a valuable and useful tool to build your firm and your standing in the industry. There are approximately 1.5 million JD holders in the United States, with 1.34 million licensed to practice law. Of these, roughly 354,000 attorneys are solo practitioners. The Bureau of Labor Statistics projects 43,800 new jobs from 2014 to 2024. They also project an additional 113,900 jobs due to retirements, deaths and additional vacancies for a total of 157,000 jobs. Here’s the problem. ABA-accredited law schools produced 43,832 new graduates in 2014 alone. You see the problem right? That’s 2.78 graduates per job. Too many graduates vying for the same work. If you’re looking for a job, you’ll face the same kind of stiff competition I mentioned earlier. Prefer to start your own business straight out of law school? You’ll face a significant amount of pushback from naysayers and skeptics. People who believe you’ll need to spend five to seven years working for another firm to “gain experience.” This isn’t particularly helpful as practice areas are typically decided for law students. They take the best job or position they can get. Let’s say you started as a real estate transactional attorney. You’ve done this for the last five years (with zero litigation experience). Now you’d like to become a litigator. It’s going to be difficult to land a position as a litigator. It’s not as simple as changing your practice area once your career has been established. If you’re starting your own law firm straight out of law school you’ll need to choose your practice area. Believe it or not, this is an incredible opportunity. You get the chance to chart the course of your career! Here are a few simple guidelines to follow. Choose a practice area that interests you. Interest determines attention. Attention, specifically the level of attention exerted, determines the quality and longevity of your work overall. The obvious point here is this: it’s much harder to do a good job when you hate your job. Verify that there’s an appropriate level of supply and demand. In the 1990s market conditions forced most law school students to choose litigation as a practice area instead of corporate or transactional law. Make sure you have the required skill sets. You’ll want to analyze your personality and temperament, academic and/or professional credentials (i.e. a patent attorney with an engineering undergraduate degree) ahead of time before settling on a particular practice area. Here are a few additional primers on choosing the right practice area(s). What about setting up your law firm? Once you’ve determined the name, legal structure, and focus of your law firm you’ll need to create a firm foundation. This is the core component most attorneys miss. Your new firm needs structure, in the form of systems and procedures, to survive. These are the fundamental components you’ll need (in order of importance) to build a successful legal practice. Financial management. You’ll need positive cash flow and strict financial controls governing how money is handled in your firm, who has access to what and when. You’ll need concise, actionable reports delivered daily, weekly, monthly, quarterly and annually. Communications management. This is a catchall term that describes business development, sales and marketing. Communication is how your firm attracts new leads and clients. Poor communication = a cash poor legal practice. Legal management. Your area of expertise. This area covers office lease or purchase contracts, intellectual property protection and agreements, loan documentation, compliance issues and more. Systems management. Systems run businesses. Systems codify the education and information inside your head. It gives future employees, freelancers and support teams the instructions they’ll need to help you grow, manage and maintain your law firm. Quality and performance management is impossible without systems management. Service management. Your service is what your customers pay for. It seems important, and it is. But it’s the least important part of your business. Most solo and small firm practitioners focus their attention exclusively on their service. Good service is unsustainable/impossible without the first four components I’ve mentioned. Read this post for a detailed and comprehensive breakdown of these components, and the components you’ll need to establish a healthy and stable law practice. Here’s the thing about these components. Setting up these components properly is much easier when you’re working with real, money-in-hand clients. Let’s focus our attention there first. What’s the secret to winning your first client? Attorneys with deep pockets tend to throw money at the problem which, as you might expect, doesn’t work all that well. 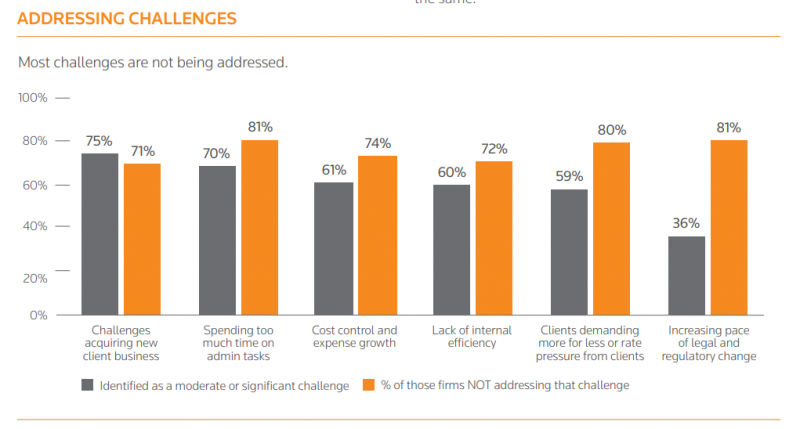 Inexperienced firms rely on the usual channels – advertising, marketing, speaking, etc. These strategies work best when they’re part of a cohesive strategy. When they’re not, these strategies tend to feel like a money pit. Not at all, not when They’re focused on the right strategy. In fact, business development is easy when our focus is in the right place. What’s the right place? As I mentioned previously, there are really only two ways to drive prospective client traffic to your firm. Traffic from existing platforms. These are people, organizations, influencers and tangential sources who have already built a platform of their own. Their audience is hungry, desperate for the value you provide. Feed their audience and their platform becomes yours. Traffic from a platform you build. You build, manage and maintain your own platform from scratch via your very own marketing campaigns. You create business development content that attracts and segments visitors. You build everything around your audience. Here are some business development strategies you can use to create a thriving platform for your young law firm. These strategies rely on two things: (1.) traffic from existing platforms and (2.) influentials, powerful kingmakers with influence and reach. This is the easiest way to begin the conversation with clients. It’s writing for other publications, influentials who need content. The platforms you turn to on a regular basis for education? They need your knowledge and expertise. These publications should meet 3 criteria. Publications with authority. The ABA Journal, National Law Journal and The Hill are all authoritative, attorney-focused publications. The Wall Street Journal, New York Times, Washington Post, CNN, Time and The Harvard Business Review are all consumer-focused publications. Writing for these authoritative publications boosts your authority and prestige, providing you with a greater amount of influence and reach. Publications with traffic. Publications like The American Lawyer, Law Technology Today and Trial Magazine are attorney-focused publications. Business Insider, Entrepreneur Magazine, Fast Company, and other high traffic sites are consumer focused. Publications with opportunity. These are specialty publications that provide you with opportunities to win new business. In house counsel publications such as ACC Docket and Inside Counsel are attorney-focused examples. Key partnerships with any of the publications listed above (and those not listed) may also provide significant opportunity. These broad examples are helpful cues you can use to get things started. Radio shows, podcasts, and discussion panels are always on the lookout for credible experts (you). They need important, educational content to feed their audiences. You’re going to be a guest on these radio shows, podcasts and discussion panels. You’re looking for the overlap. You can peruse the list of radio stations and podcasts in the United States. Once you have a list of targets, work on creating a pitch, follow-up offer, product and intake process. This strategy is one of the best ways to attract a significant amount of attention from prospective clients. Here’s how it works. You partner up with influentials to teach an audience. It could be their audience, an audience influentials have signed on to teach or a cold audience. Here’s what does matter. The content. You’ll need to provide influencers with meaty, in-depth, long-form content that scratches a particular itch. You’re looking for tangential organizations (or people) with a large pool of potential clients you can serve. Next, you’ll want to provide them with educational tools and resources they can use to serve their audience. Finally, you’ll want to make their audience yours by creating lead magnets. What do I mean by a lead magnet? Lead magnets attract attention, create interest, stoked desire and motivate action. They’re helpful tools you can use to quickly build trust, rapport and consensus with prospective clients. That’s attorney Emil Ovbiagele of OVB Law & Consulting S.C. According to his attorney profile, he was admitted to the Bar in 2014. Yet here he is, as a young attorney, posting videos in an official capacity for the Wisconsin Bar Association. He did it with relationships. To become an effective public speaker you’ll need to build relationships that are contingent on value. You use Peter Thiel’s value formula. I mentioned this in a previous post but it’s worth repeating so I’ll briefly recap the formula here. What’s the first step of creating value? You identify a problem, need or desire your influencer needs to be solved. Maybe they need more educational content for their audience, maybe they’re looking for experts to share their insights on a popular or trending topic. Make it your goal to identify and solve their problems. I spoke with Claudia, your content director and she mentioned you were looking for experts to speak at your upcoming conference. She mentioned you were looking for attorneys who can discuss [topic]. I’m a partner with [Firm], and [topic] is one of my practice areas/specialties. Would you be interested in a brief outline? It’s concise, focused and all about them. Remember the steps I mentioned in strategy three? You can use the same exact process for public speaking or you can use it to identify areas where you can add value. Once you’re finished speaking provide listeners with a follow-up offer (consultation, assessment, lead magnet, etc.) at the end of your speech. Capture their contact info and follow-up where appropriate. It’s a hidden business development strategy most attorneys ignore. Use these tools sparingly if at all. The circumstances that require these strategies are exceedingly rare. It’s not as easy to avoid making these mistakes as you might think. People around you are often offended by things you aren’t even responsible for. Some of these people may cast blame, secretly nursing a grudge. Don’t ghost or ignore people. Ignoring texts, emails and instant messages harms the relationship. Silence is the worst insult possible. It trains those around you to fill in the blanks. Which of course means they’ll assume the worst. Don’t assert your power over others. At any given time, and in any given conversation, one person will always be more successful than another. Casually mentioning the large bonus check you received stings when the associate you’re talking to didn’t get one. Pay your debts. Most people collect relational and social stamps. They do good with the expectation of return. What’s worse, the value of the good deed goes up in the giver’s mind and down in the recipient’s. Consistently expressing gratitude for the things others have done for you. It’s a simple and easy way to avoid resentment due to social and relational debts. Don’t waste their time. It’s important to zealously guard your time. It’s just as important to guard the time of those around you. Simply saying “I don’t want to waste your time” in a conversation is enough to let people know you value them personally and you value their time. Don’t think they’re okay with it, just because you are. Your values aren’t their values. People have their own way of doing things. Imagine that an associate decided to borrow several items from your desk without asking because they’d be okay with it. Then, when confronted, they mentioned it’s not a big deal and told you to let it go? Infuriating right? That’s how many people feel with this assumption. Know your audience. If you’re a junior partner, be aware of the fact that senior partners may be condescending from time to time. Interns may fawn all over you, eager for any of your attention. Prospective clients may feel intimidated and express false bravado. There’s a simple rule you can follow to take care of your audience. That’s pretty straightforward, right? This doesn’t mean you morph into a brownnoser. It also doesn’t mean that you accept abusive or dysfunctional behavior. Acknowledge their value, as a human being, as equal to your own. Did you catch the secret to launching a successful law firm? Intense competition, the number of graduates vying for the same work, scarce opportunities – it all stops mattering when you focus on serving others. It’s the secret to high-performance business development. Find the people, organizations, influencers and tangential sources who have already built a platform of their own. If they have a platform their audience is hungry, eager for the value you provide. Feed their audience well and their platform becomes yours. The usual channels – advertising, marketing, speaking – these strategies work best when they’re part of a cohesive platform building strategy. Start today, work consistently and you’ll find competition is largely irrelevant. Is an MBA useful? To run your small law firm, it would be, right? Many pundits feel it isn’t. Their argument focuses on the fact that an MBA doesn’t teach you the real world strategies and tactics you need to build, grow and scale a successful business. So why run your small law firm as if you have an MBA? Isn’t that kind of self-defeating? It would be if that’s all you had to offer. Jeffrey Pfeffer of Stanford University and Christina T. Fong of the University of Washington analyzed 40 years of data in an effort to answer a simple question. Do business schools make their graduates (MBAs) more successful? Guy Kawasaki chimes in on this question as well. In his book, The Personal MBA: Master the Art of Business, Josh Kaufman shows firm owners how to create their very own Personal MBA. Most of us want the knowledge, training, and experience needed to build a successful organization. Here are a few ways attorneys can use their personal MBA to build and grow their small law firm successfully. Cash flow is the lifeblood of your firm. If the cash flow in your firm is stable and predictable, your firm has enormous value. There’s a tremendous value in building a firm with evergreen retainers, subscription fees, and recurring billings. Here’s something that’s more valuable. Good cash flow management controls. What exactly does this mean? It’s actually pretty straightforward. Positive cash flow. More money coming in, less money going out. This sounds incredibly obvious until you ask partners which financial metrics should be tracked. Firm leadership should be able to track a variety of financial metrics at any given moment. Strict financial controls. You’ll need the rules, policies and procedures governing cash flow management. How money is handled in your firm, who has access to it and went. 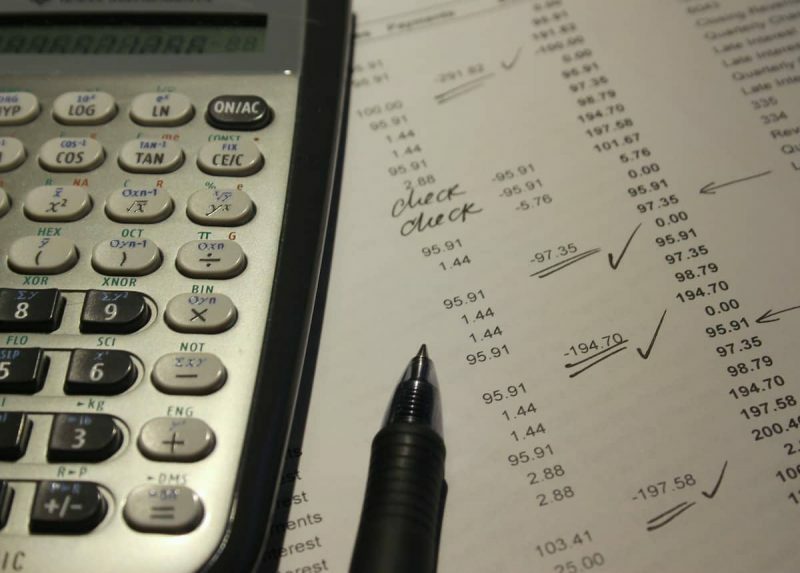 You should also have strict controls over reporting – income, expenses, assets and liabilities. This is your foundation. The success or failure of your firm, to a large degree, depends on cash flow management. Here’s a comprehensive post on the fundamental components of a successful legal practice. How do you approach business development? Many attorneys treat business development as a sporadic but largely unnecessary endeavor. Here’s what I mean by that. Many attorneys struggle to attract new clients. They know they’re struggling but most haven’t addressed the problem. Platform building alleviates the pressure these issues place on firms. Building your own platform means you have a steady supply of traffic, prospects, clients and revenue. Doing this reframes the rainmaking problem. It’s common for attorneys to view advertising, marketing or promotion is the strategy to pursue. Here’s the problem with this view, when you stop working your phone stops ringing. Many pundits feel the traditional MBA has outlived its usefulness. Forty years of data show there is no correlation with career success or positive financial results. Does this mean an MBA is useless? You’ll have to decide for yourself. A Personal MBA could be your answer. An informal training methodology you develop for yourself. A straightforward methodology you can use to learn/earn the real world experience. It’s the ideal way to develop the strategies and tactics you need to build and grow a successful law firm. How is a recurring payment plan a potential solution for your billing cycle? What’s the one billing problem that’s often ignored? The missed billing cycle. If you’re managing your firm know what I’m talking about. Lost income due to a missed billing cycle. This occurs for a variety of reasons. Law firms routinely forget to send invoices to clients. Or they forget to follow-up with those who don’t pay. Some firms bill at the end of the month only to have clients pay (if they’re lucky) at the beginning of the next month. Would a recurring payment plan fix these problems? The usual benefits are an obvious draw for law firms. These benefits are consistently mentioned for a reason. They provide law firms with the foundation they need to build a stable organization. Recurring payment plans, when used appropriately, make feast and famine cycles a thing of the past. More predictable cash flow. You and your clients settle into a routine. You bill at a specific time each month, often with a predetermined budget or range. Clients pay you automatically at a set time each month. Decreased collections activity. If you’re a business-to-consumer or small business attorney, recurring payment plans are a must. Why? Because according to economist Robert Reich, 8 out of 10 people live paycheck to paycheck. Payment upfront (via retainer) is the golden rule. Refuse to offer recurring payment plans and, at some point, clients will stop paying. A recurring payment plan reduces collections activity, increasing firm cash flow. Value-driven client relationships. A financial routine shifts everyone’s attention to the value and outcomes received by the client. A recurring payment plan reduces the attention placed on the bills and payment. Yes, clients will still be focused on their bill. But that bill will be broken up into small, bite-sized pieces clients can manage. Law firms become scalable. A payment plan gives your firm a certain amount of predictability. This is crucial for firm grown. The more predictable your receivables, the easier it is for your firm to raise capital, attract partners and grow your firm. You’re probably already familiar with these benefits. Even if you aren’t, it’s not all that hard to figure out, is it? Here’s the thing about these benefits. They’re not the most valuable part of a recurring payment plan. The most important benefits improve your financial standing dramatically but they accomplish it indirectly. This sounds strange, doesn’t it? Here are three hidden, but more valuable benefits to adopting recurring payment plans in your firm. The attorney/client relationship is very similar to a parent/child relationship. Your clients are in a vulnerable position. They’re trusting you to advocate for and champion their interests. A recurring payment plan trains your clients to behave in a specific way to ensure their matter is handled smoothly/well. You provide your clients with statements verifying the amounts they’ve already paid. This requires that you work to build more trust upfront during your intake process but it’s well worth it as you’ll see with the next benefit. Which client is more likely to stay? Richard a client who pays a $17,000 retainer or Geoffrey who pays $2,450 per mo ($29,400 annually)? Give up? Richard will feel a burning desire to get his money’s worth but the pain of his initial purchase (e.g. the potential for loss) will decrease with time. Geoffrey on the other hand will feel the need to get his money’s worth each and every month. He’ll ask you or more help, which will increase loyalty over time. Why? It’s the psychology of consumption. The more your clients consume – the more engaged they are, the more questions they ask, the more assistance they require – the more likely they are to continue working with your firm. Your client feels their case/matter won’t be resolved in their favor so they decide to stop paying. It makes sense in their head – why pay you if they’re going to lose and be forced to pay the other side? A recurring payment plan circumvents this issue. If they fail to pay their recurring payment plan they could lose your support at an inconvenient, catastrophic or unpredictable moment. A recurring payment plan can also circumvent piecemeal billing, providing firms the structure and predictability they need to retain quality clients. A recurring payment plan takes advantage of the sunk cost bias. It’s a tendency people have to irrationally follow through on an activity that fails to meet their expectations due to the amount of time and/or money invested. The sunk cost bias increases in strength over time. The longer the relationship, the more money spent, the more reliant clients are on you – the more likely they are to continue paying for your help. Productization requires specialization. If you’re a multi-purpose firm a recurring payment plan can work but it will also require a lot more work. Specialization with a few practice areas is key. If you focus exclusively on family, tax or intellectual property law you can productize your services using recurring payment plans as a delivery framework. A recurring payment plan breaks your service/work into manageable financial pieces. Pieces your clients can afford to pay for. Firms are able to avoid the headaches and hassles that come with missed billing cycles. They’re able to train their clients to do business their way. To scale and grow their firm in a way that makes financial sense. With the right structure, you’ll have the client loyalty, financial predictability and value-driven relationships your firm needs to grow. A postmortem analysis by CB Insights listed “ran out of cash” as the second most common reason for business failure. While it’s typically a problem for startups and new firms, it’s also a problem for established law firms. I’m talking about feast or famine. One minute your firm is awash with clients and projects. You’re scrambling to keep up with the demand, to serve your clients well. The next minute it feels like your firm is starving. It’s stressful and difficult to grow your firm under these conditions. There is one major cause that’s often ignored. Financial highs and lows = a lack of structure? I’m not talking about the financial highs and lows that come with attracting or losing a major client. I’m also not talking about the one-off events that occur when your firm is in transition or your financial situation is undergoing a major change. I’m talking about firms that are constantly in flux. When I use the term “in flux” I’m talking about a specific set of financial circumstances that plague law firms. There are several details that immediately spring to mind. Poor timekeeping, unclear billing policies and procedures, a failure to send out invoices, etc. A lack of financial structure contributes to these firm killing problems. Definitions are important so let’s begin with the basics. When I use the word cash flow this is what I’m talking about. I’m going to assume you already know this. My goal here isn’t to insult your intelligence but to ensure that we’re all singing from the same song sheet. Cash inflow good, cash flow crunch bad. This is precisely why you need evergreen payments. Evergreen payments simplifies the cash flow management process (a bit) for law firms. If you have a system that maintains good cash inflows (e.g. consistent, reliable and growing) your job is really only focused on one specific area. Evergreen/recurring payments make this possible for a few important reasons. When used appropriately, this makes feast and famine cycles a thing of the past. Let’s review the obvious and commonly cited reasons. More predictable cash flow. You and your clients settle into a routine. You bill at a specific time each month, often with a predetermined budget or range. Clients pay you automatically at a set time each month. You’re able to replenish your evergreen retainer or receive your next payment (recurring payments) at set intervals with little to no resistance from your clients, even if you’re unaware of the total cost. This decreases the likelihood that your firm will lose money. Decreased collections activity. If you’re a business-to-consumer or small business attorney, Evergreen/recurring payment plans are a must. Why? Because according to economist Robert Reich, 8 out of 10 people live paycheck to paycheck. Research from the NFCC found 25 percent of consumers don’t pay their bills on time. This is a problem for firms – payment upfront (via retainer) is the golden rule. At some point in the near future, a large portion of your client base will stop paying. An evergreen/recurring payment plan reduces collections activity, increasing firm cash flow. Value-driven client relationships. A financial routine shifts everyone’s attention to the value and outcomes received by the client. A recurring payment plan reduces the attention placed on the bills and payment. Yes, clients will still be focused on their bill which, as you’ll soon see, is important for consumption. A recurring bill means their balance will be broken up into small, bite-sized pieces clients can manage. Law firms become scalable. A payment plan gives your firm a certain amount of predictability. This is crucial for firm growth. The more predictable your receivables, the easier it is for your firm to raise capital (in the form of loans or equity), attract partners and grow your firm. You’re probably already familiar with these benefits. Even if you aren’t, it’s not all that hard to figure out, am I right? Here’s the thing about these benefits. They’re obvious but they’re not the most valuable part of a recurring payment plan. As I mentioned previously, the most important components sidestep money altogether. Let’s review a few of the wildly profitable but hidden benefits of evergreen/recurring payments. The attorney/client relationship bears a striking resemblance to a parent/child relationship. Your clients are in a vulnerable position. They’re trusting you to advocate for and champion their interests. Evergreen/recurring payment plans train your clients to behave appropriately. It maximizes your client’s focus on value and minimizes their focus on price (which you don’t want to eliminate). You provide your clients with statements verifying the amounts they’ve already paid. Notice, you’re not asking for permission, you’re providing a summary or accounting for a decision already made. This is the key distinction. This requires that you work to build more trust upfront during your intake process but it’s well worth it as you’ll see with the next benefit. What if you don’t? What if you ignore client payment delays? You won’t be able to train your clients properly until you know why they’ve stopped paying. Here are a few of the most common reasons for nonpayment. A cash flow crunch of their own: Clients with financial problems are understandably hesitant to pay. These clients fully intend to pay you but they lack the financial resources to do so. Being paid is important, maintaining their habit is more important. You want to ensure your clients send you something each and every month. This may require that you provide them with less until they’re fully caught up. It may also require modifying representation. What’s most important? Treating your clients as allies, never as an adversary. Unhappy or dissatisfied clients: Your client realizes their case/matter won’t be resolved in their favor so they decide to stop paying you. It makes sense in their head. Why would they continue to pay you if they’re going to lose and be forced to pay the other side? An evergreen/recurring payment plan helps to circumvent this issue. It positions you and your client on the same team. Remember, clients, are more likely to use what they pay for. The more they consume the more they buy. The more they buy the more they trust. You’ll be able to earn more fees from evergreen clients who are focused on value rather than cost. Large corporations: Large corporations have their own set of billing guidelines, payment schedules and hidden requirements that need to be followed to the letter. Fail to do so and you may trigger a billing dispute delaying payment. If you’re dealing with unexpected news pick up the phone and call your client. Create a map of expectations ahead of time. You’ll want to outline the explicit and implicit expectations you’re dealing with. Clients who are unwilling to pay: These clients weasel their way into your firm with one goal in mind. To extract as much free/low-cost work as they can from you before they’re given the boot. These clients wreak havoc on firms as they make their exit. They leave negative reviews, burn bridges and destroy firm morale. It’s best to avoid these clients before they find a way into your firm. Ask for a larger upfront retainer (followed by regular and evergreen retainers or recurring payments). Richard will feel a burning desire to get his money’s worth but the pain of his initial purchase (e.g. the potential for loss) will decrease with time. Geoffrey, on the other hand, will feel the need to get his money’s worth each and every month. He’ll ask you for more help, which will increase loyalty over time. Why? The more your clients consume – the more engaged they are, the more questions they ask, the more assistance they require – the more likely they are to continue working with your firm. Here’s the interesting part of this research. Do you want clients to spend more with your firm over time? To request your help with additional matters? To be more receptive and open to your suggestions – even if there’s a significant financial upside for you? It’s true, evergreen/recurring payments, don’t come with the strong upfront payment many attorneys prefer. They offer something better. The sunk cost effect is the core driver of this predictability. Your clients feel compelled to use the services they’ve paid for to avoid feeling that they wasted their resources. Am I advocating that you use evergreen/recurring payments to manipulate clients, via the sunk cost effect, to keep them trapped in a relationship with you? I’m stating something much worse. I’m stating that your clients will use, rely on and manipulate the sunk cost effect themselves and that there’s not a thing you can do to stop them from doing so. Once they’re invested (financially) in your firm, and you’ve earned their buy-in with evergreen/recurring payments they’ll do it themselves. The sunk cost bias increases in strength over time. The longer the relationship, the more money spent, the more your clients consume, the more reliant clients are on you – the more likely they are to continue paying for your help. It’s your job to ensure your clients are treated well. Your client feels their case/matter won’t be resolved in their favor so they decide to stop paying. Again, it makes sense in their head – why pay you and the other side if they’re going to lose? A recurring payment plan circumvents this issue. Evergreen/recurring payment plans take advantage of the sunk cost bias. It’s a tendency people have to irrationally follow through on an activity that fails to meet their expectations due to the amount of time and/or money invested. A recurring payment plan breaks your service/work into manageable financial pieces. Pieces your clients can afford to pay for. Here’s a brief primer on that. There are three types of productized services. The foot-in-the-door-offer. Irresistible introductory offers that are designed to attract client attention in hopes of securing an ongoing relationship with higher fees. This productized service is an excellent strategy to attract a consistent stream of B2B clients. One-time purchases. These purchases fulfill a client need but they also set the relationship up for upsells, cross-sells and down-sells. You’re not pitching clients irrelevant services they don’t want or need. You are piggybacking on your one-time offer, showing clients that an ongoing relationship would provide them with more value. Recurring retainers/subscriptions. Clients pay you for a value-added service on a weekly, monthly, quarterly or annual basis. This doesn’t have to be labor intensive work either. You can use evergreen retainers and subscription payments as a strategy to handle the tedious or routine work clients need done on a day-to-day basis. Here’s a brief idea showing you how you can use a productized service to grow your firm. You’ll want to verify that this is acceptable in your local jurisdiction. You’ll also want to notify your malpractice carrier of any pertinent changes. You can use your DBAs for a variety of purposes. Creating a low-cost brand that automates or semi-automates routine legal work (e.g. wills, basic trusts, agreements, etc.). This low-cost brand would be a helpful and cost-effective way to rapidly train new graduates/associates. It could also be a significant profit center for your firm. Creating a prestige brand that bills at a higher rate. This is perfect if your prestige brand only matches illustrious/valuable clients with law firm partners who have 20+ years of experience under their belt. It’s an ideal strategy if you’re looking to win larger contracts from well-paying corporate clients. Creating a volume brand that produces large amounts of high-quality work at reasonable, mid-market rates. This would be perfect for grinder associates were focused on churning out as much high-quality work as possible. It would also be ideal for the minders who manage them. Creating a specialist brand that focuses on specific practice areas or precise areas that require a tremendous amount of legal expertise. This is perfect if you’d like your firm to branch off into specialized practice areas (e.g. IP, tax or compliance law). This quick bullet list isn’t comprehensive. It’s not intended to be. It’s designed to get you thinking about the ways you can use sperate brand identities (via DBAs) to create consistent and steady cash flow for your firm. It would require that you maintain a separate brand identity for each DBA (e.g. business cards, websites, social media, mailing addresses, etc.). Your brand stands for one specific thing in a customer’s mind. If we’re relying on the Pareto distribution, I know most attorneys receive 80 percent of their revenue from 20 percent of their practice areas. Separate brand identities provide stability. Practice areas that are viable today may not be as viable tomorrow. Properly used, brand identities via DBAs provide firms with the flexibility and financial stability they need to weather any economic storm. You’ll want to create the payment terms necessary for your firm whether you’re using DBAs or not. You’ll want to make sure evergreen retainers are stored appropriately in your trust account until their earned (obviously). It’s something you already know but it’s still surprising that so many attorneys miss this. You can use evergreen retainers, recurring and subscription billing, fixed fees and other alternative fee arrangements, where appropriate, in your DBAs. Again obvious, but worth repeating. Next, you’ll want to avoid one of the biggest mistakes solo attorneys make when discussing fees with a prospective client. You want to lay out the terms of your evergreen retainer clearly, so your clients understand it, ahead of time. You’ll want to verify (without being condescending) that your clients understand. What happens if clients reject the terms you laid out? You refer them to a DBA that will better serve their needs. If a low-cost client wanders into your prestige brand looking for help they may balk at the price. No worries, simply redirect them to your low-cost DBA. When it comes to switching there’s a hidden fear. Relationship is the antidote to this fear. Specifically two kinds of client relationships. Customers in a constrained relationship feel they have to stay to avoid losing the exclusive benefits there are currently receiving. They may also choose to stay to avoid the transitional pain and expense that comes with switching. Here the main factors that impact your client’s psychological commitment to your firm. Sunk cost effect. Remember this? The more recent the spend, the more likely customers are to stay and consume. The more money they invest the more likely they are to stay. The more they consume now, the more they’ll consume in the future. Regret avoidance and loss aversion. It’s better to not lose $ than to gain $. When customers are satisfied, they tend to avoid doing things they feel they may regret; they stick with what they know and stay with the status quo to limit risk. The stronger your value proposition the greater the loss aversion. A desire to feel in control. Customers typically don’t have control over the outcome. As a result, they prefer to maintain control over their circumstance. Doing this helps them avoid the psychological pain that comes with uncertainty. Customers stay with the status quo to avoid losing control. What about dedicated relationships? These customer relationships last longer because they’re self-sustaining. These clients develop emotional bonds with the associates/team handling their matter/project. It’s no surprise then that loyalty flows naturally from these client relationships. Which factors are most important to these relationships? Benevolence. Your clients feel a consistent sense of goodwill from you. The relationship isn’t adversarial it’s a healthy mix of partnership and caretaking. Integrity. Your clients see you’re focused on delivering value. You don’t nickel and dime your clients, you’re too busy delivering exceptional results on their behalf. Your clients know you’re honest, ethical and morally sound, whether they’re watching or not. Competence. You’re the best-of-breed, the finest your client can afford. You’re highly competent, you’re able to produce results other attorneys can’t or struggle to achieve. This is how you get existing clients to switch to evergreen payments. You have a constrained, dedicated or combination (both) relationship with your clients. Want to increase the likelihood that your clients make the switch to evergreen or recurring payments? Give them a compelling reason. Create a compelling value proposition. Create a service/firm with an exclusive, compelling, credible and clear offer from your client’s perspective. Give them an out. Give your clients the opportunity (as much as possible) to say No. Provide them with a clear exit if they’re unwilling to continue with the current arrangement. Examples include upgrades, downgrades, renegotiation, and alternate DBAs. This is how you get clients to switch. The good news? It’s upfront work that pays dividends indefinitely. The bad news? It’s difficult, requires a fair bit of thinking and in the end, most firms give up before they’ve completed the process. It’s a mistake to attempt to manage your financial data manually. 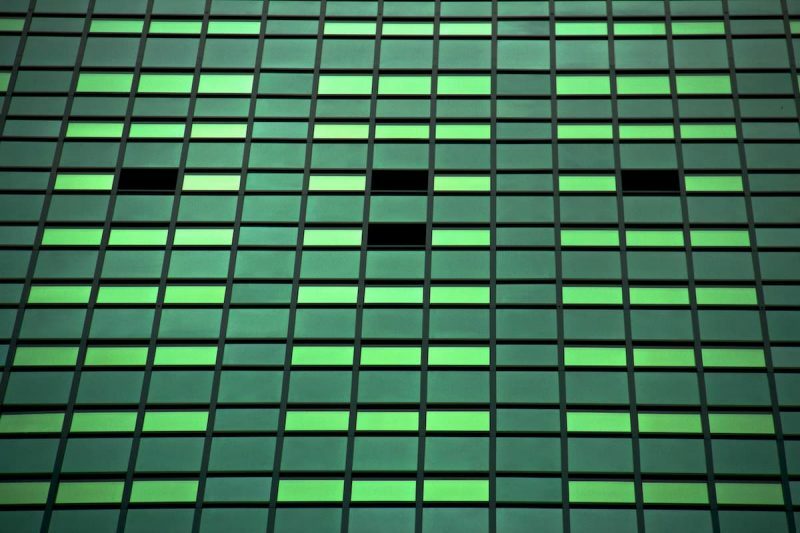 There’s too much data to manage and not enough time to analyze it. With practice management software, you can manage evergreen payments on a recurring basis. You can set up alternative fee arrangements (e.g. subscriptions, fixed fee, contingency, holdbacks, etc.). There’s something more important here. If you’re looking to get a decisive victory with your cash flow management you’ll need a significant amount of data. You’ll need a way to track these metrics comfortably. The easier it is, the easier it will be to grow your firm. Set up alerts: These alerts are automatic, alerting you to any potentially dangerous or problematic issues before they hit the point of no return. Schedule software: If you’re relying on practice management software, you’ll want to schedule reports so they’re run automatically, on a schedule, all the time. Get everything out of your head and into a trusted software system. Schedule people: Build a team of trusted, freelance/outsourced providers who can help you with the above list of metrics. If you’re doing amazing work (and I assume that you are), you won’t have the time you need to track all of this consistently. Surround yourself with software and people who can. Focus on accuracy: You’ll want to provide your people and software with the information and resources they need to perform. This means you’ll need to track your time accurately, record data in your software tools judiciously and focus on doing this consistently. Skip this step and your metrics won’t be accurate. If you’re using practice management software you should be able to set evergreen and recurring payments up easily. You’ll want to ensure that you receive notifications or alerts when you retainer balance is low. 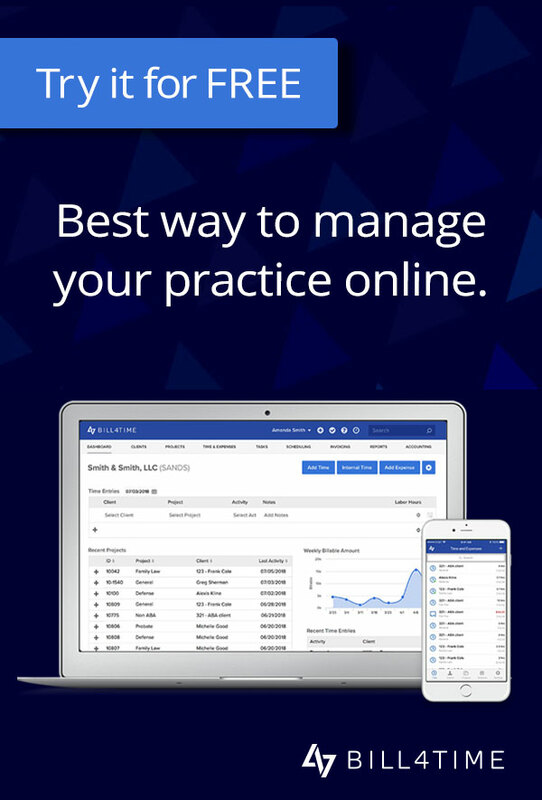 Your practice management tool should also manage your trust accounts. New and established firms struggle with feast or famine cycles. Most of these law firms exist in a constant state of flux. They struggle to receive payment from their clients. Their day-to-day cycle is a consistent source of stress and anxiety. 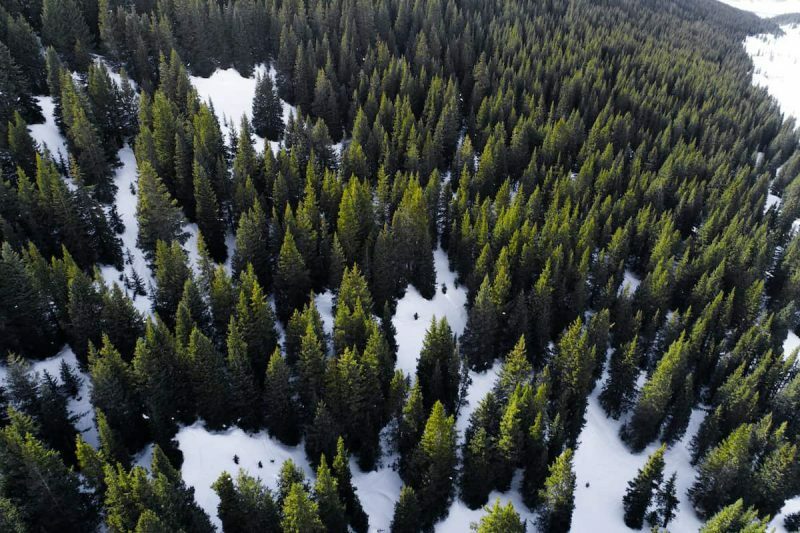 Evergreen payments are the key to healthy cash flow. Evergreen payments provide firms with the predictable cash flow and decreased collections activity they need. These law firms become scalable, high-performance growth machines. They’re exceptional value generators for clients, employees and partners. With strategy and evergreen/recurring payments, you’ll have the tools and resources you need to create the cash-rich, feast worthy law firm you deserve. Can online payments truly make a different to your bottom line? It’s there in the back of your mind. The reason why so many attorneys choose to collect larger retainer fees upfront. Doing so relieves a few of their secret and unspoken fears. Get as much as you can now. There may not be a “get” later on. It’s common for attorneys to collect as much as they can upfront, as often as they can, for advance work. Yes, these retainers provide short-term relief but they do little to diminish any long-term cash flow concerns firms may have. With online payments, specifically in the form of credit cards or recurring ACH transfers, you’re able to attract a [significant amount of revenue] with less work. There are lots of compelling arguments outlining the benefits of moving clients from checks to online payments. The real question here is how? How exactly do you convince a client to make the switch from checks to online payments? Typically, there are pre-existing arrangements in place. Clients paying by check have a specific set of expectations, specific reasons for paying by check. How do you get them to agree with you? How do you get clients, who are already set in their ways, to make a significant change? What’s the hidden fear lurking behind the scenes here? It’s the fear that you’ll ask (or demand) that your clients will say No to your request. Even worse, you may lose them. Push your clients too hard for a commitment and you may even see a dramatic reduction in the amount of business you receive from long-term clients. If these large clients are sending you a large book of business the results to your firm could be catastrophic. Here’s a better way to get clients on the same page. You start with yourself. You eliminate your fear of losing the business. You increase your pricing. This enables you to compensate for any bank, transfer or processing fees. If your payment processor takes 3.3% plus $.30 per transaction for example, you’ll want to ensure your client fees are adjusted accordingly. Set your breakeven point. Identify your monthly recurring revenue (MMR) point. This is the amount you’ll need to maintain your operations as-is. You’ll need this amount, in full, before you pitch current clients. This step is the foundation, your strategy won’t work without it. Set your terms and conditions. You want to identify your pricing model, billing strategy and appropriate schedules. Are you offering clients an evergreen (recurring) retainer that’s renewed on a specific schedule or via set criteria? Are you offering subscription billing or a flat monthly fee? You’ll need to finalize these details first before attracting or pitching clients. Bring new clients in, under the new terms. New clients are brought in under the new terms and conditions you’ve laid out in step three. These are reliable clients who have explicitly agreed to your new pricing model. You’re looking for the behavior markers that signal a reliable, long-term client. As far as these clients are concerned, pay by check doesn’t exist. Bring in new clients, replace the old. Your new set of clients should meet the predetermined MMR point you’ve set previously (step two). If your firm needs $650,000 per mo. to operate comfortably use this as your benchmark. Just be sure to exclude current clients. If you’re uncomfortable waiting you can begin pitching clients when you’re 1/3 – 2/3 of the way there. This comes with increased risk. 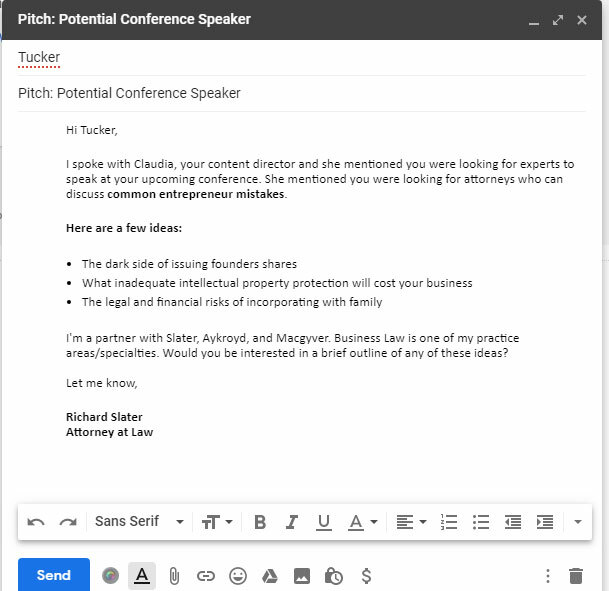 Pitch existing clients with a compelling offer. At this point, you’re able to confidently reach out to existing clients with your offer. If you’re willing to grandfather existing clients in (i.e. they continue to pay by check) you can assume more risk with step four. If you’re unwilling to grandfather existing clients you’ll need less risk. This strategy eliminates a significant amount of the fear you feel. You’re able to approach existing clients confidently, knowing that you have a secure foundation/safety net in place. You’re producing more revenue with less effort and in less time. You could use force to gain compliance. This would probably damage the client relationship permanently. It hardly seems worth it, especially when there are more effective strategies you can use to gain buy-in from your clients. Discounts: This strategy is the low hanging fruit firms pursue first. It’s easy to offer clients a significant discount for a set period of time. This strategy should be used with care. It should be unpredictable, difficult to game and focused on delivering value to all parties. Bonuses: Enable you to provide clients with a specific set of valuable add-ons. The important detail here is this. Your clients must find these bonuses compelling. If you’re a startup or small business attorney regular calls, webinars, workshops or sit-downs with influential or legendary entrepreneurs, specialists and experts would be an incredibly compelling bonus. Alarm, logic and gain: Show clients what they stand to lose (naturally) by continuing to pay with checks. Provide them with a logical rationale that shows them why they should switch to online payments then, show them what they stand to gain after they understand the consequences. This all seems fairly straightforward, doesn’t it? Many attorneys feel this is all a bit much. “You just have to ask” they say, “and clients will switch.” Experience tells us this isn’t the case. Checks give clients a significant degree of control. Research shows gains received from switching aren’t enough. You’ll need to show clients the (positive and negative) consequences of continuing with the status quo. They’re comforting in the short term but they create significant disadvantages for small, medium and growing firms. If you’re working with consumers and/or small business owners they may not be able to pay the large upfront fees you’re asking. Online payments give you predictability and your clients flexibility. This doesn’t have to be your story. With the right strategies and a clear set of tactics, you’ll have the systems you need to provide your firm with financial stability and growth.